THE PICKIEST EATER IN THE WORLD: THE MCRIBVIEW INSTAGRAM PHOTO CONTEST- WINNERS ANNOUNCED!! THE MCRIBVIEW INSTAGRAM PHOTO CONTEST- WINNERS ANNOUNCED!! It's Rina's Birthday Week, so aside from the ongoing Lemon Squares Giveaway I'm currently hosting, I'm holding yet another giveaway.. This time courtesy of our friends at McDonald's Philippines! Join the McRib Instagram Contest now! 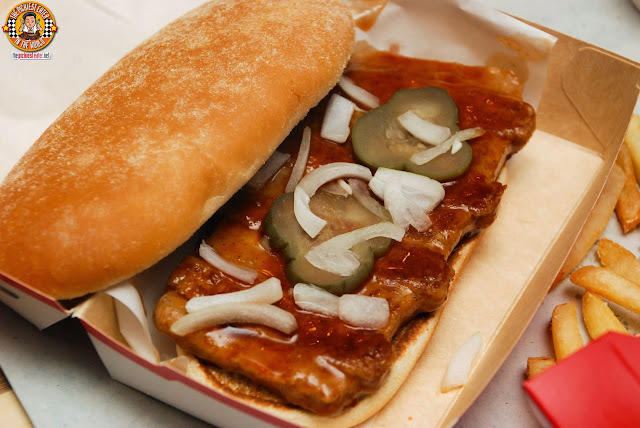 If you've been living under a rock, The McRib has returned to the Philippines and has taken McDonald's Fanatics by storm. A pork patty, doused in a Sweet and Tangy BBQ Sauce, topped with sliced onions and pickle slices.. nestled unto a toasted long bun. 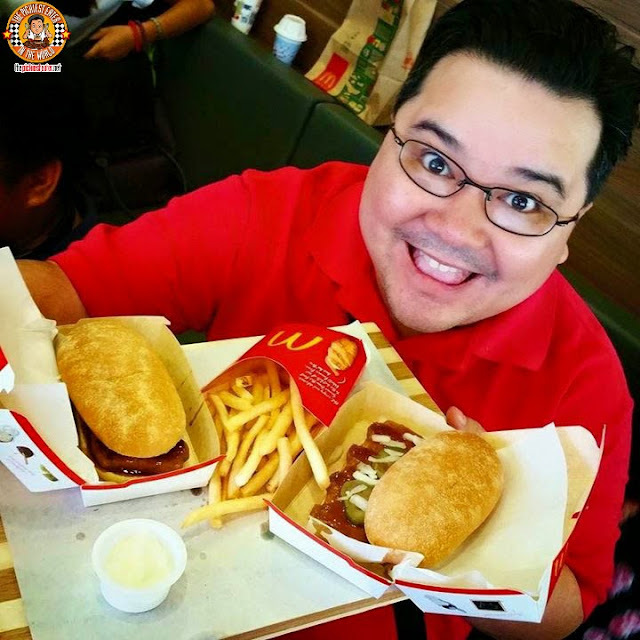 Now, I'm giving three Pickiest Eater readers a chance to win "BOG" cards that'll give you Free McRibs! Step One: Take a picture of you, indulging on a McRib. You can be holding it, staring at it longinly or eating it. But the bottom line is that YOU (Or another human being, depending on your concept) and your McRib sandwich must be present in the photo. You will get points for creativity. Step Two: Come up with a creative caption using only THREE WORDS, then add the HashTags, #McRibCraving and #McRibviewPickiestEater. The contest will run from May 18 until May 23. The Winners will be selected a few days later based on creativity, and will have the BOG's delivered to them! 1) The mechanics says I have to post the picture on Instagram. Do I really have to post it on Instagram? Yes, you really have to post it on Instagram. 2) I posted my Picture to my Facebook Page and tagged you. Does it count? No. Believe it or not, Instagram is a completely different social media application from Facebook. 3) What if my caption goes up to four or five words? I admit, I'm no math genius, but I think that would mean that it's more than three words, which means your entry won't count. 4) Can I post a picture with another McDonald's Sandwich? Sure, but it won't be eligible for my McRib Giveaway, so what's the point? 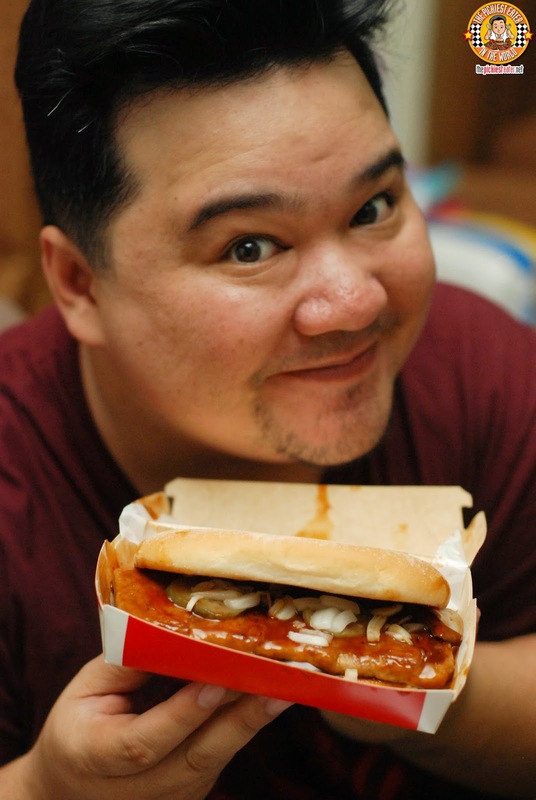 5) Do I (the entrant) have to be the person in the picture with the McRib? I'll allow pictures of a friend or loved one with the McRib. Although if you win, you'll probably owe him or her a BOG. 6) Are we limited to one person in a Photo? The more the merrier, I always say! Have a McRib fiesta with your buddies if you want! 7) Do I need to follow Mcdo_ph and pickiesteater on Instagram? You don't HAVE to.. But it would be nice if you did. I post some really funny stuff on my IG, I swear! 8) Do I have to really Tag @mcdo_ph and @pickiesteater ? Can't I just "Mention" your user name? No. You can mention me as well, but mentions don't stay on the feed notifications feed for very long, especially with a lot of activity. I need to be tagged so it will be easier for me to keep track of all the entries. Please don't forget... Points for creativity!! Please email me your contact information at pickiesteater@gmail.com, as well as your delivery address where I may have the BOG card's sent! Please respond within a week or I will draw a new winner. your FAQs are really on point! hahaha! Joined! Hoping it's creative enough lol!